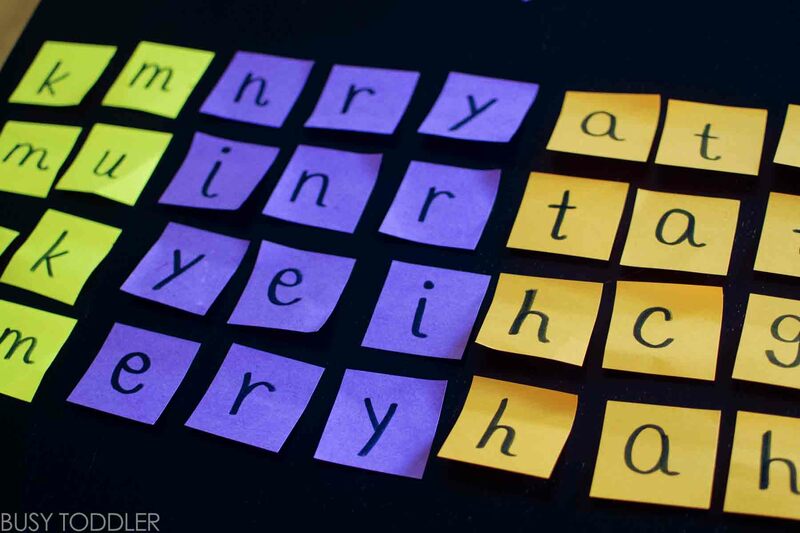 Have some literacy fun with this Alphabet Post-It Wall. It’s a stone cold fact that kids love Post-It notes. They are little paper scraps from sticky heaven, and who doesn’t love using them? I know my toddler is obsessed. 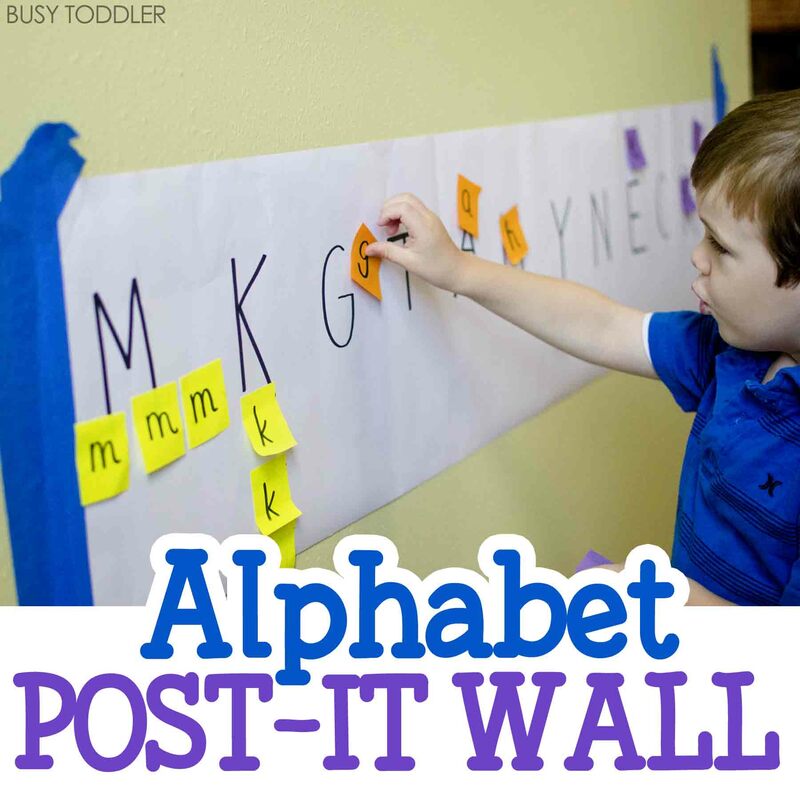 They make a great “gimmick” in toddler activities, and our latest use for them (in Alphabet Post-It Wall) was a smashing success. It’s always fun to play alphabet games with my son and have some quality learning play time together. 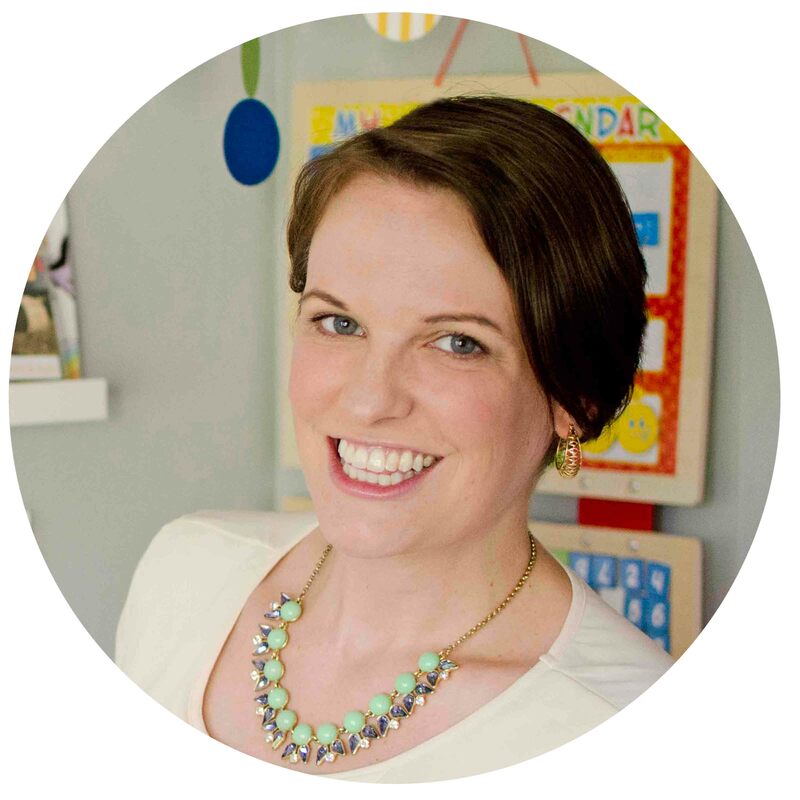 If you are looking for other ABC type activities, check out the ebook I collaborated on with 40+ ABC and 123 activities. 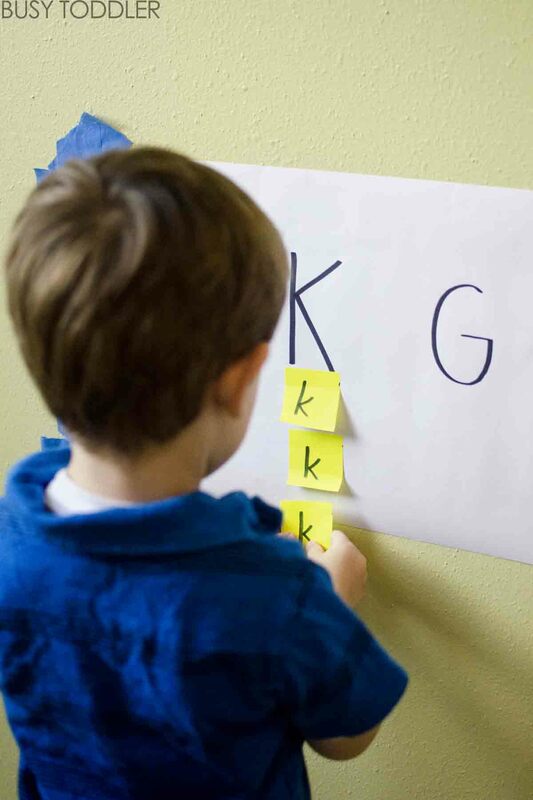 Setting up the Alphabet Post-It Wall took seconds. While we were eating breakfast, I quickly wrote letters on some colored Post-It notes. I wrote only lower case letters and focused on letters that look vastly different from their upper case counter part (think R vs r). I made multiples of each letter, just for fun. 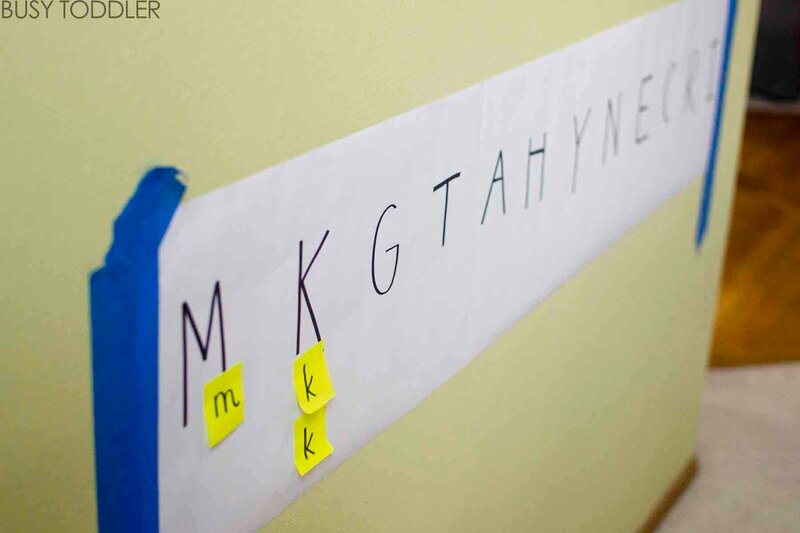 Next, I wrote out the corresponding upper case letters on a large piece of butcher paper that I taped to the wall. I gave my son the simple directions: stick the Post-It letters to the white paper. 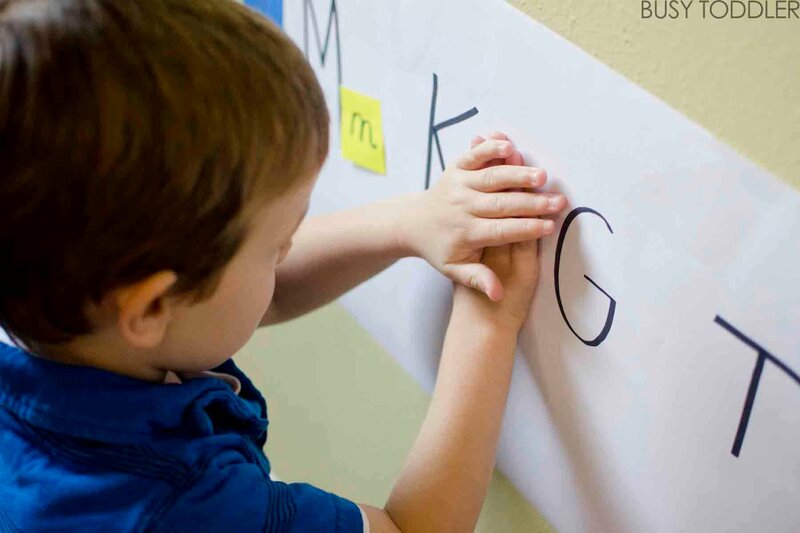 Even though my son fluently knows his letter names, activities like this are great for keeping his memory sharp and getting him interacting with the letters. 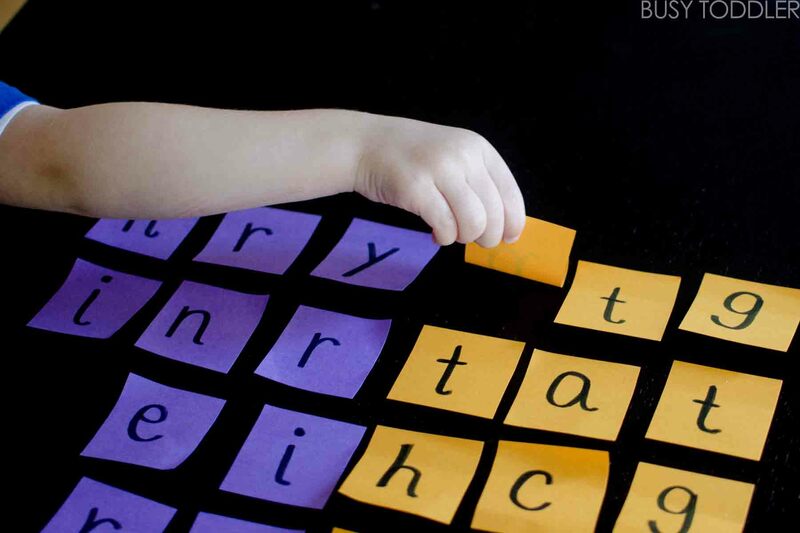 Once a child learns there letter names is no reason to stop activities like this all together. Rather, keep practicing – much like a quarterback in the NFL still goes to practice each day to work on throwing. For a little added movement, I put the Post-It notes on a table in another room away from the wall of letters. This meant my son was running back and forth between the two places (times however many Post-Its are on that table). Talk about a two for one activity: he was getting a mind and body work out! There’s a lot of skill involved in Alphabet Post-It Wall. 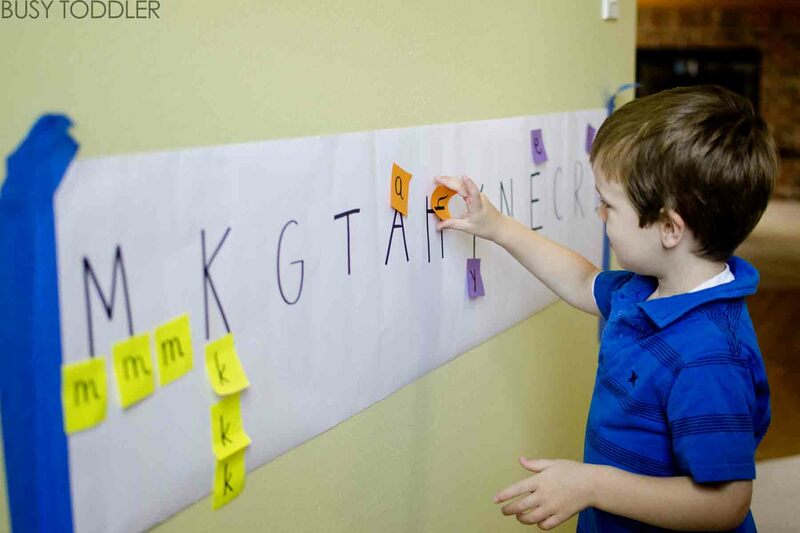 This alphabet post-it wall was the perfect indoor activity for my son. 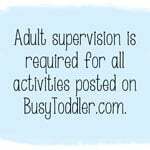 He was able to move lots, practice his letter skills, and have FUN all in one simple activity. 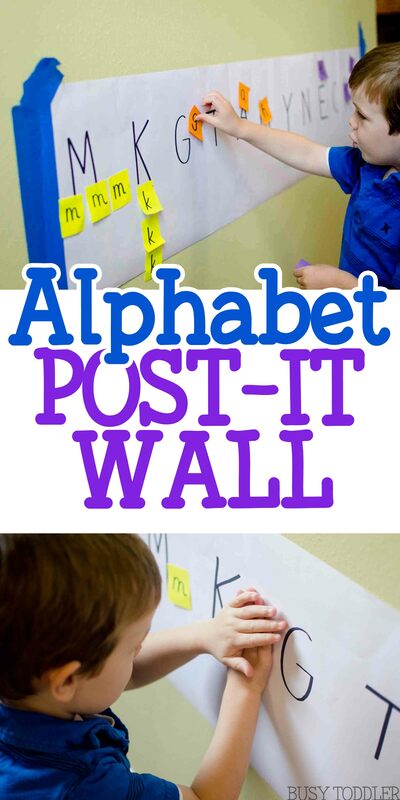 Will you try the Alphabet Post-It Wall with your kids?